Rain boots are an essential in our home. 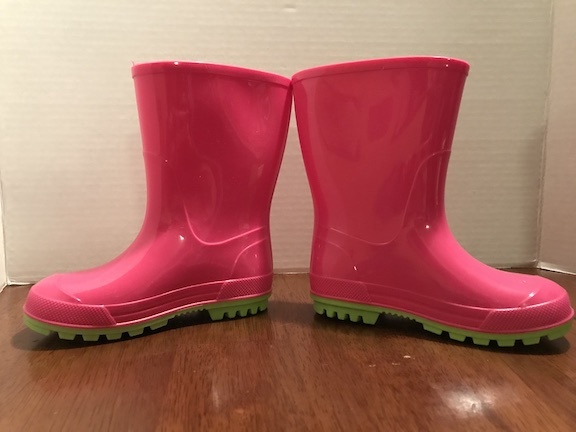 My daughter needed a new pair of rain boots and I was shocked by the cost of little kids rain boots. I never go to Wal Mart, but I’m so glad I did that day because I found these pink rain boots that are perfect. In Cricut Design Space I uploaded a kitty face from google. I was only able to use the ears for the kitty face. I cut the kitty face in vinyl and even tried reverse weeding, but the whiskers were just to thin. To create the whiskers and nose, I used a heart shape (for the nose) and welded rectangles to the heart. 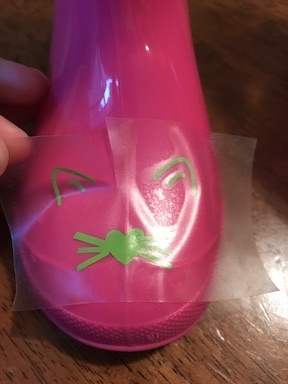 I used transfer tape to attach the kitty face and the monogram to the boots. 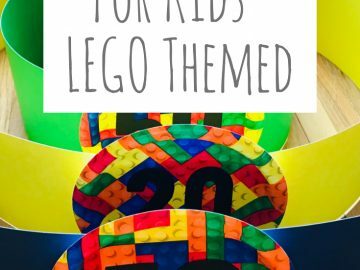 For the monogram I used the font KG True Colors. 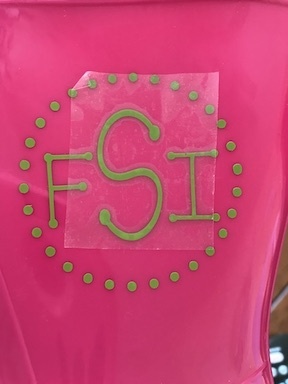 I already had the circle uploaded (it’s not an image from Cricut Design Space). After I made the monogram, I kept looking at it and it didn’t look right. 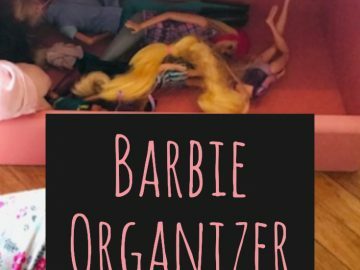 Then finally I realized I had the letters in the wrong order. Thank goodness it was an easy fix. I’m so glad I caught it before she wore them. I would have been so embarrassed. 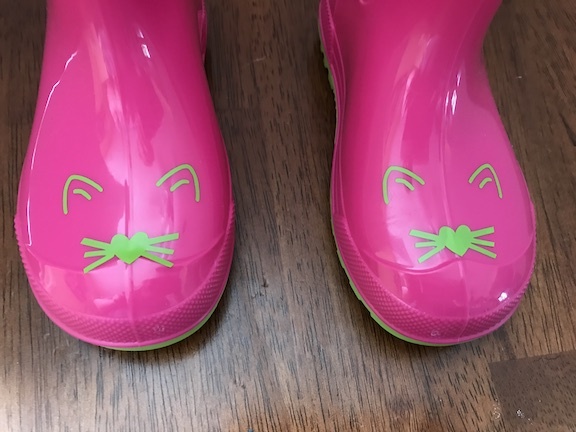 The Fun Pink Kitty Rain Boots are ready for adventure. My daughter loves them and yelled “kitty” as soon as she saw them. Both of my kids love wearing rain boots. 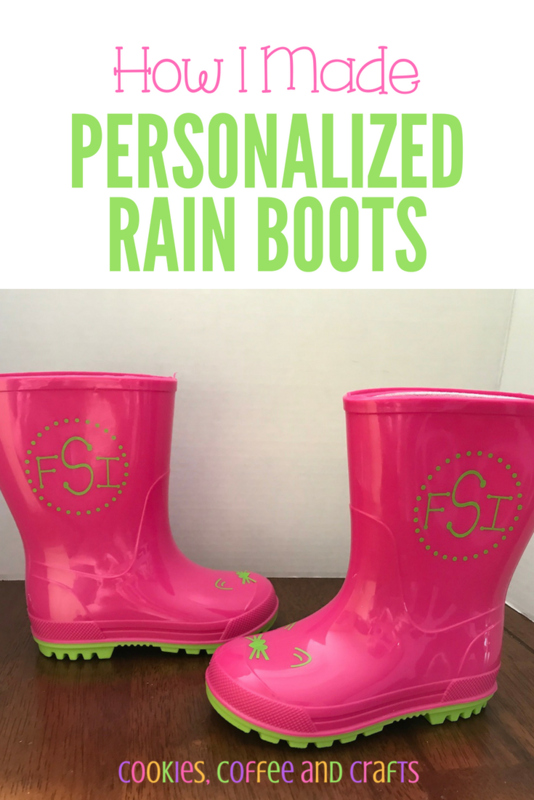 I hope this inspires you to make fun and personalized rain boots! 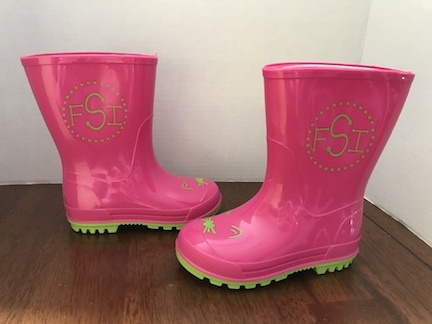 I would love a pair of monogrammed rain boots to.